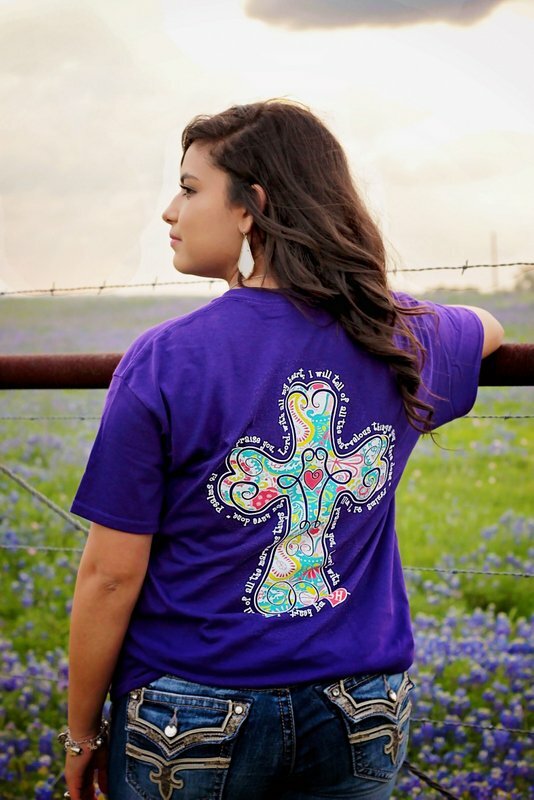 This 100% cotton Gildan T-Shirt features a paisley printed swirly cross on the back. The paisleys are white, aqua, yellow, and pink. The verse reads, "I will praise you, Lord, with all my heart; I will tell of all the marvelous things you have done." Psalms 9:1. The front features a small aqua version of the cross from the back. Wear this tshirt and believe that great things will happen!